Trendy Rubber Bracelet with Black Baroque 10 and 14 mm. Black Pearls, Hematite Stones in 8 and 10 mm. and elements in Sterling Silver, that fits to all sizes. For Him or for Her! 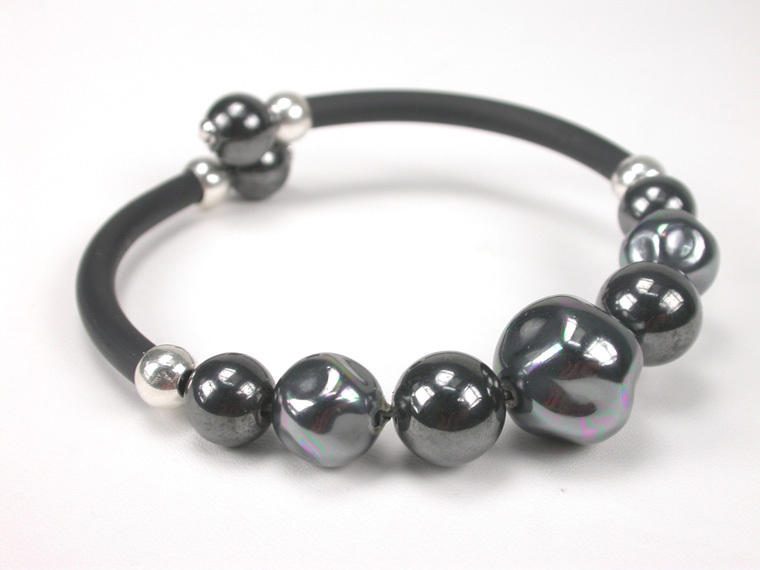 Trendy Rubber Bracelet with Black Baroque 14 and 16 mm. 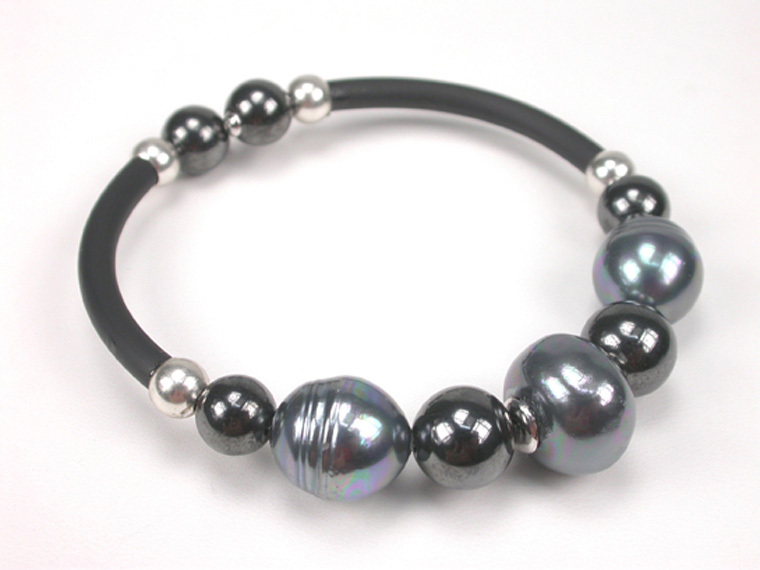 Black Pearls, Hematite Stones in 8 and 10 mm. and elements in Sterling Silver, that fits to all sizes. For Him or for Her!